The W3C OWL Web Ontology Language has been a W3C recommendation since 2004. OWL is playing an important role in an increasing number and range of applications, and is the focus of research into tools, reasoning techniques, formal foundations, language extensions etc. This level of experience with OWL means that the community is now in a good position to discuss how OWL be applied, adapted and extended to fulfill current and future application demands. 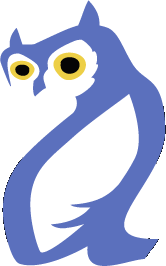 The OWL: Experiences and Direction (OWLED) workshop series is a forum for practitioners in industry and academia, tool developers, and others interested in OWL to describe real and potential applications, to share experience, and to discuss requirements for language extensions/modifications. The workshop will bring users, implementors and researchers together to measure the state of need against the state of the art, and to set an agenda for research and deployment in order to incorporate OWL-based technologies into new applications. Building on the success of the 2005 OWLED workshop, the 2006 OWLED workshop will again be immediately after the ISWC conference, this year held in Athens, Georgia, U.S.A.
Submissions can be either technical papers or short "position" papers. Submissions that base their conclusions on application experience are especially encouraged. The goal of the workshop will be to maximise discussion. The technical sessions will therefore consist of short presentations of papers (grouped by topic area) followed by directed discussion. The goal of the workshop will be to maximise discussion. The technical sessions will therefore consist of short presentations of papers (grouped by topic area) followed by directed discussion. Further presentations and system demonstrations will be made as part of a poster session. The workshop may also have one session in common with the Second International Conference on Rules and Rule Markup Languages for the Semantic Web (RuleML06) in which the integration of OWL with rules languages will be discussed. Submissions must be in PDF, and will not be accepted in any other format. It is the responsibility of the authors to ensure that their submission displays and prints correctly on common PDF viewers. Submissions must be formatted in the style of the Springer Publications format for Lecture Notes in Computer Science (LNCS). For details see http://www.springeronline.com/sgw/cda/frontpage/0,11855,5-164-2-72376-0,00.html. All papers must be submitted online using the submission website . Technical paper submissions must be no longer than 10 pages, and shorter submissions are welcome. Position paper submissions must be no longer than 4 pages. All submissions must be received before 11:59 PM PST 31 July 2006. Submission will be via the workshop web site. All submissions will be reviewed by the workshop committee. Decisions on the acceptance of papers will be communicated to authors no later than 11th September 2006. Authors of accepted papers plus programme committee members will be invited to participate in the workshop. The registration is also open for other interested people. Prospective participants that have not received an invitation should send an email to owl-ws-organizers@mindswap.org with a one-paragraph statement on their rationale to attend prior to registration. The workshop will have a session for software demos and "posters" (formal or informal) describing work in progress. All participants, even those without a paper in the program, are invited and encouraged to demo their tools and/or present a poster. Interested parties may send the organizers a one page description of the demo/poster before October 20th. Such a description is not required, but descriptions submitted prior to October 20th will be considered for inclusion in the proceedings. The Workshop will take place at the Classic Center in Athens, Georgia, U. S. A. (about two miles away from the location of ISWC 2006). For more venue information, including how to reach Athens, see the General Information section of the ISWC 2006 web site. There will be shuttle services between ISWC and OWLED locations. Venue information specific to OWLED 2006 will be available later.